Its the start of something wonderful. 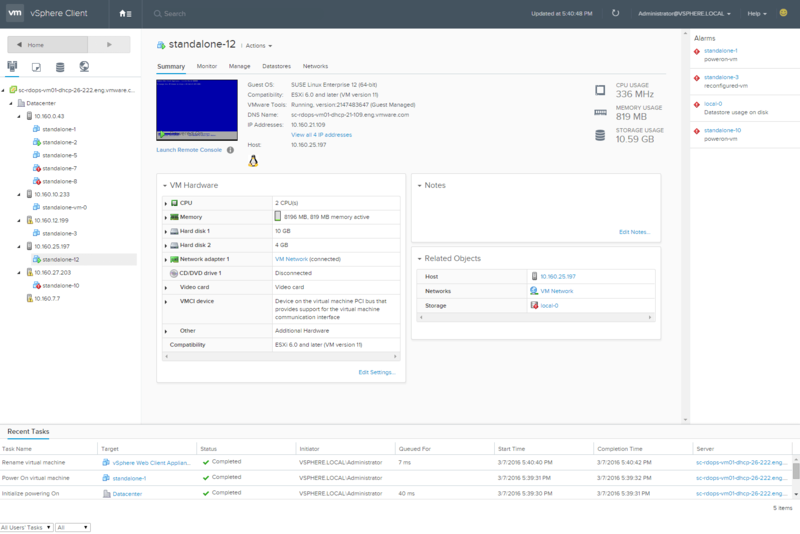 This weekend the fling for vSphere HTML5 web client was release. Its in its early state, but I expect to see it improve quickly. The HTML esxi host web client was finally officially released with ESXi 6 update 2 a few weeks ago. At work we are currently on vSphere 5.5 and our host are 5.1 and 5.5 ( I do still have a version 4 we are migrating the files off the last vm) I’m hoping this summer to start the move to Version 6 for vSphere and my host. Like most people we still use the ‘fat’ vSphere client, its faster and we know our way around. I’v tried forcing myself to use the web client from 5.5 and I keep running back to the ‘fat’ client. We don’t use any features that require the webclient right now, maybe by the time we move to 6 later this year the vSphere webclient will be fully supported.